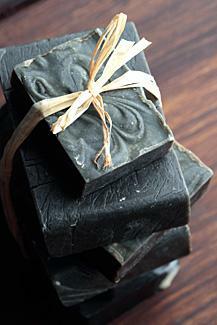 Making soap is a fun and versatile craft. 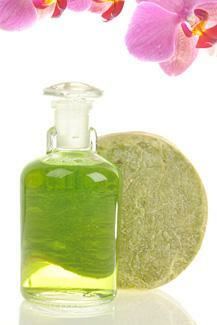 Glycerin soap, liquid soap, and natural soap are popular projects. 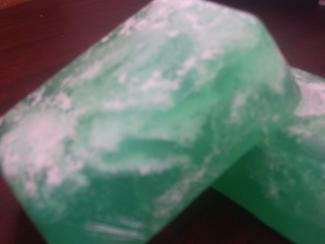 You can make plain bars of soap as well as scented soaps in any color and shape you can imagine. You can also make soap that contains pressed flowers or small toys such as rubber ducks and plastic goldfish. The possibilities are endless! You actually have a lot of options when it comes to making your own soap. From the super-simple melt-and-pour method to the more complex and dangerous hot process method, there's a process that's perfect for your needs. Understanding the advantages and disadvantages of each method can help you choose the one that's right for you. One of the easiest ways to get into the hobby of soap making is to start with melt-and-pour soap. 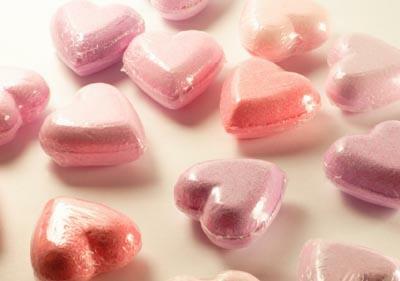 Using a purchased soap base, you can experiment with mix-in items, fragrance, color, and attractive soap molds. Chop up the desired amount of soap base into chunks and add it to the glass measuring cup, and microwave according to the package instructions. Alternatively you can melt the soap base in the top of a double boiler. Watch the soap carefully to avoid overheating it. When the soap is melted, gently stir in a few drops of color and fragrance, and mix in any other items like herbs, oatmeal, or dried flowers if desired. Pour the soap into the molds and place them on a level surface. Allow the soap to cool completely, which usually takes at least an hour. When the soap is cool, pop it out of the molds and it is ready to use. Any bars that are not being used immediately should be wrapped tightly in plastic wrap and stored in a cool, dry place. Cold process is the most common type of soap making and the one most people will advance to after they have made the melt-and-pour type. It involves making soap from scratch using fat and lye and then adding herbs, oils, fragrances, and colors. It's very important that you always use a well-established recipe from a trusted source, since lye is a dangerous chemical. Using a tested cold process soap recipe, weigh the lye and water. Add the lye to the water according to the instructions, while wearing your safety goggles and other protective gear. Never add water to lye. Allow the lye and water mixture to cool to the specified temperature. Mix the fragrance in the oil. Weigh your oils or fats. Heat the oil or fat to the specified temperature, usually the same temperature as the lye. Add the lye mixture to the oil, and stir until the mixture begins to thicken (trace). This can take a long time, often up to an hour depending on the recipe, though you can save time by using a stick blender in short spurts. Pour the mixture into the soap mold. Cover and surround the mold with towels to insulate. Allow the soap to sit for a few days to cure, and then take the soap out of mold and cure in the open air for the specified amount of time according to your recipe. Hot process soap making uses many of the same ingredients as in cold process, but the soap mixture is cooked. The soap follows the cold process method until it is time to add the lye to the fat. This process eliminates the long curing time of cold process soap, but it adds the safety concern of high heat. Always use a good recipe for hot process soap and follow the directions carefully. In general, your recipe will tell you to mix the fat and fragrance together and melt in a pot on the stove. Wearing your goggles, gloves, and protective clothing, add the lye to the water. Always add the lye to the water, rather than the other way around. Mix the lye and water mixture into the fat, stirring constantly. Keep stirring constantly while boiling the mixture for the specified time, or until the mixture reaches the specified temperature. The mixture will be thick at this point. Add in any additives and color, and as the mixture cools slightly, stir in your fragrance. Scoop the soap into your molds and smooth off the top. Allow to cool for several hours. When the soap is completely set, pop it out of the molds. You can let hot process soap cure for a few weeks to make it milder, or use it right away. Rebatching is similar to the melt-and-pour method in that you take existing bars of soap and melt them down to create new types of soap. In rebatching, you grind up the soap and add milk, goat milk, tea, herbal infusion, or water and then re-blend the mixture to create a unique soap. Grate up all the soaps so that it is in tiny pieces. Place the soap pieces in the boiling bag, and seal the bag shut. Bring a large pot of water to a boil, and insert the bag. Boil the bag until the soap is melted, usually about half an hour. Pour the melted soup into a dedicated bowl, and add any other ingredients you would like. Stir well. Before the soap has a chance to cool, pour it into the molds. If the soap is too thick, you may have to use a spoon to scoop and press it in the molds. If you are using cold process soap in your rebatching, set the molds in a cool, dry place, and allow them to cure for a few days. If you are rebatching melt and pour or bars of commercial soap, it can be used as soon as it has set. For many families, liquid soap is more convenient than bar varieties. It's also easy to make when you start with bar soap. Handmade liquid soap makes a great gift for friends and family. Start by grating your bar soap. Add the grated soap to the large pot. Add water and glycerin, and heat the mixture on low until it dissolves. Stir constantly. Pour into a heat-proof container and stir in color or fragrance. Allow the mixture to cool completely, which usually takes several hours or overnight. Use the mixer to thoroughly stir the cooled soap. Allow the soap to settle and then pour into containers for use. Honey gives your soap a light, sweet scent while helping to increase the lather. 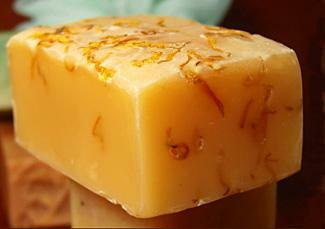 Try honey and ginger or honey and dry milk in your homemade soaps. Cinnamon and clove soaps have a lovely texture and color, with a mild fragrance. Add lavender essential oil to your soap to make an aromatherapy product that reduces stress, helps you relax, and promotes a more restful sleep. To make an exfoliating soap, try adding natural ingredients such as crushed apricot seeds, cranberry seeds, or strawberry seeds. Natural clay soaps have a pretty color and work well on oily skin. Try adding French green clay or fuller's earth to your soaps. Oatmeal makes for a soap that works well at soothing hardworking hands. Annatto seed, beet, calendula petals, carrot, and parsley can all be added to basic soaps as natural colorants. Make sure the fragrance oil you are using is the kind that is for the skin, not for the oil burner. To layer different colors, make sure the first layer is cooled enough until it is warm and slightly firm, so that the colors don't bleed into each other. Presentation is everything. 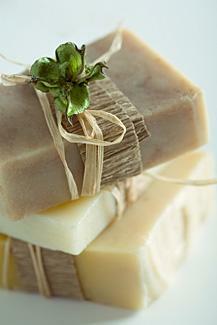 You can wrap your soap in cellophane with pressed flowers or seashells, or wrapped in cloth with hemp string. If you want to spell out a message, use small metal letter stamps to imprint the soap bar as it is solidifying. If you are making melt and pour glycerin soap, try embedding a small plastic toy into the bar for a decorative effect. Always use caution when working with dangerous chemicals and heat. Be sure to wear protective gear, and keep children away from danger. It's very important that you follow your recipe exactly. Keep you soap-making equipment separate from your cooking gear, since some of the chemicals used in soap can be toxic. Never use aluminum equipment, such as spoons or pots, when making soap. Aluminum and lye don't mix. Taking the time to make sure you understand each basic soap making process will help you choose the method that works best for you. In addition, doing your homework will ensure that your first batch of homemade soap comes out picture perfect.